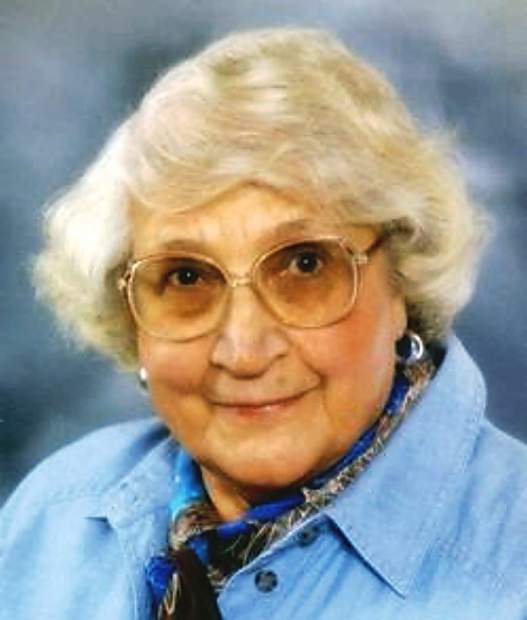 Frances Loiseau, 91, of Flandreau, passed away Wednesday, Aug. 26, 2015 at Edgewood Vista Assisted Living, Flandreau. Frances was born Jan. 19, 1924 at Flandreau, SD to Ray and Gladys (Raines) Valentine. She graduated from Egan High School in 1941 and then worked for the telephone company in Sioux Falls. She received her teaching certificate from Sioux Falls College and taught at Faris Country School for one term. Frances married James Michael Loiseau on June 30, 1947 at St. Peter Catholic Church, Colman, South Dakota. They lived and farmed at Evergreen Stock Farm in Egan, South Dakota. Her husband preceded her in death Dec. 25, 1977. Frances sold Tupperware for 2 and a half years, was a Green Thumb supervisor, and worked for S.V. Home Health in Sioux Falls. While living in Vermillion from 1981-1983 she cooked for a fraternity, Delta Tau Delta. She then lived in Dell Rapids before moving back to the family farm and in 1997 moved to Flandreau. Frances is a member of Ss. Simon and Jude Catholic Church and was a lector for 10 years. She received the Friend of 4-H Award in 2009, Friend of the Fair Award in 1999, the S.D. Horse Council Horseperson of the Year in 2007 and was Lasso's and Legends Honoree in 2009. James and Frances loved horses and together created a legacy of generations of good quarter horses most of which have the word Frenchman in their name in honor of the Loiseau French heritage. Frances is survived by eight children, James (Mary Dell) Loiseau, Flandreau, Barb (Tom) Westover, Egan, Charles (Sandi) Loiseau, Frankfort, Kansas, Beverly (Bill) Kennedy, Vermillion, Mick (Cindy) Loiseau, Egan, Elisabeth (John) Hollmann, Hot Springs, Mary (Kem) Kjerstad, Rapid City, Val Loiseau, Hot Springs, 14 grandchildren, 21 great-grandchildren, three sisters-in-law, Pete Valentine, Vancouver, Washington, Dorothy Mousel, Flandreau, Mary Ann Loiseau, Egan, and brother-in-law Dave Gingerich, Des Moines, Washington. Frances was preceded in death by her husband, parents, sister Dorothy Gingerich and brother Charles Valentine. Mass of Christian Burial was 10:30 a.m. Saturday, Aug. 29, 2015 at Ss. Simon and Jude Catholic Church, Flandreau, with burial at Hillside Cemetery, Egan. Visitation was 5 – 7 p.m. Friday with a 7 p.m. rosary and scripture service at Skroch Funeral Chapel. Memorials to Wild Horse Ranch, Box 998, Hot Springs, S.D. 57747 and Hope Haven Living Memorial, Rock Valley, Iowa.